May 4, 2015 – This is the first of a new series of reports on out of state results by Utah riders. 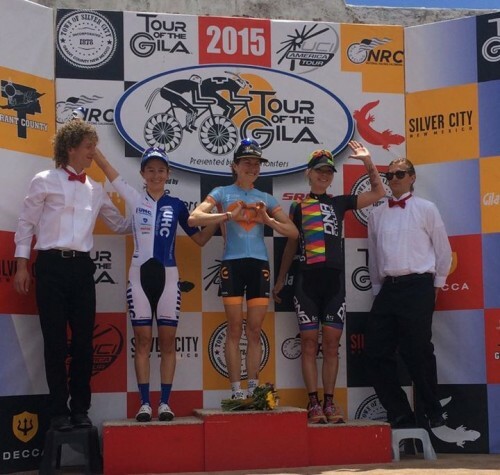 At the 2015 Tour of the Gila Road Race, Utah's Breanne Nalder (DNA K4 Racing) took third on the infamous Gila Monster stage and finished 12th overall. Anne Perry (DNA K4 Racing) was 23rd overall. Richard Knutson (Cicada) took third overall in the Men's 1/2 field. Joergen Trepp and Gary Hurst finished 4th and 10th overall in the Men's 3 field. In the Pro Men's field, Morgan Schmitt, riding for local team Canyon Bicycles Shimano, finished 28th overall and Park City's Chris Putt of Axeon finished 49th overall. Sepp Kuss (Durango, CO) racing for the Utah-based Intermountain LiveWell squad finished 36th overall and 12th in the U-26 classification. Ali Knutson finished 6th overall in the women's 3-4 field. She summed up her race in a facebook post, “Resting the legs after an awesome 4 days of racing Tour of the Gila as a guest rider for Cicada Racing, Inc. Four stages including two road races, a time trial and a criterium. 158.35 miles, and 11,393 ft of climbing (with some change). Finished the first day in 8th on the GC, moved up to 6th with a 4th place TT, won a $50 prime in the crit and finished overall in 6th after a hard day of climbing with some incredibly strong women.” Brookanne Mickelson of Team Red Rock was 2nd overall, and Jill Gardner of Canyon Bicycles was 8th. 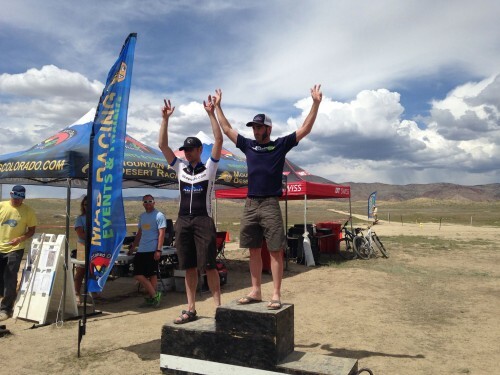 In the Rumble at 18 Road in Grand Junction, Colorado, John Osguthorpe chalked up a win in the Men's 30-39 category. Osguthorpe is returning to racing this year after a few years away. In the USA Cycling Marathon Cross-Country National Championships, Ogden's Justine Lundine finished 8th in the Pro Men's field. John Osguthorpe won the Men's 30-39 field at the Rumble at 18 Road 2015. Note: If you have out of state results of note, please let us know – email [email protected] Please include a brief race report too on your race.